Patricia Brumbaugh currently serves as the conductor of the Northwestern Michigan College Concert Band. She received her BA degree in Music Education from Olivet College in 1976, and a MM from the University of Michigan in Music Education in 1986. She is A.B.D. in a Doctoral Program in Horn Performance at the University of Memphis. Pat retired from public school teaching in 2013 after 13 years as director of bands at Traverse City West Senior High School. Prior to teaching at Traverse City West, Pat served as Director of Orchestral Activities at the University of Memphis, conducted the Germantown Symphony, served as assistant conductor of the Memphis Youth Symphony and created and conducted the Memphis Area Youth Wind Ensemble. 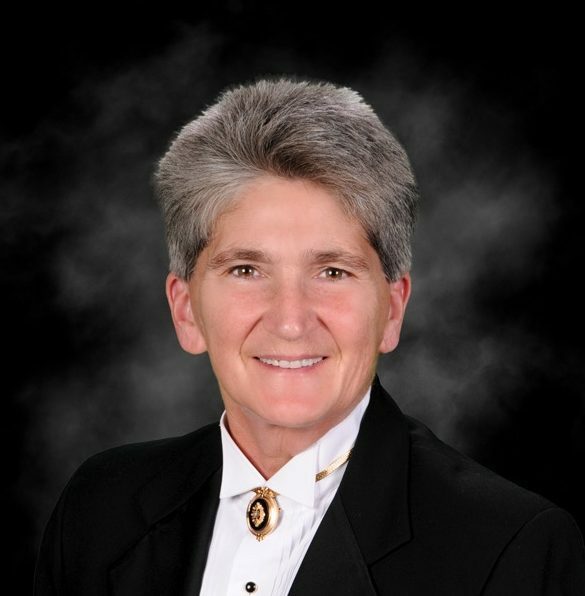 Ms. Brumbaugh also served for four years as Director of Bands at Arkansas State University in Jonesboro, Arkansas, and taught for 12 years at Ann Arbor Huron High School, Northwest High School (Jackson), and Central Montcalm Public Schools in Stanton, Michigan.